Ubuntu For Tablets: Hot or Not? This year, Ubuntu has been in the news more than it's ever been. Week after week, a new announcement from Canonical inundates tech sites and blogs. And this time, it's not just the Linux-based news sites that are covering them. 2013 is all about Ubuntu going mainstream. Coming from the Linux world, the word mainstream has many connotations, but when compared to what Apple, Microsoft, and Google are doing, Ubuntu is a relatively unknown player. Going head-to-head with these giants is probably what mainstream means at this moment. With the dawn of the new year, the fledgling Ubuntu spread its wings and ventured into the perilous land of smartphones. Yes, it's the same jungle that is ruled by two lions, Android and iOS, with the open-source one dominating the shiny one. But then, all this wasn't enough to whet the appetite of the polarized Linuxians. So, Canonical dropped another bomb. They decided to go the tablet way. Though, this too drew criticism from some and praise from many, Ubuntu fans are eagerly waiting to get their hands on this one. Whether or not it's worth the wait is a different issue altogether; however, as you twiddle your thumbs with impatience, we'll run you through some of the positives and negatives of the tablet OS. The Ubuntu tablets flaunt an amazing design that can be compared to the standards Android and iOS have carefully set in the tablet industry. In fact, if we compare closely, Canonical's polish on the visual front seems to be better than what Google and Apple provide. It's not just the aubergine UI that catches our eyes, it's also the swipe-reliant UI. Unlike the single-app focused iOS and the almost-multitasking Android, Ubuntu for tablets brings the best multitasking UI around. All edges respond to a finger swipe, thus letting us seamlessly update our social networks while watching our favorite movies. Coming back to multitasking, Ubuntu for tablets has added a gem of a feature. You can run two apps side-by-side thus making full use of the large screen real estate tablets provide. You could be watching a video and checking your IM both at the same time. Pretty neat, isn't it? Notifications in Ubuntu OS are unobtrusive and easy on the eyes. Simply Swipe through the top of the UI to access your notifications. Along with your notifications, you can also mute the volume, block notifications, and change essential settings right from the notifications bar. Another interesting feature Ubuntu tablet OS provides is that of multiple users and guest mode. This means that you can share your device with your friends without having to compromise your privacy. They can create their own accounts on the tablet and use it as their own device. Furthermore, there is also a guest mode that allows users who don't have an account use the device. The latter feature is great for using your tablet in kiosk mode or giving someone to test your device. The overall interface is less cluttered as compared to Android. Simply swiping up from the bottom of the screen reveals the multimedia controls for the video you are playing. This makes sure that you enjoy your content without any interruptions whatsoever. 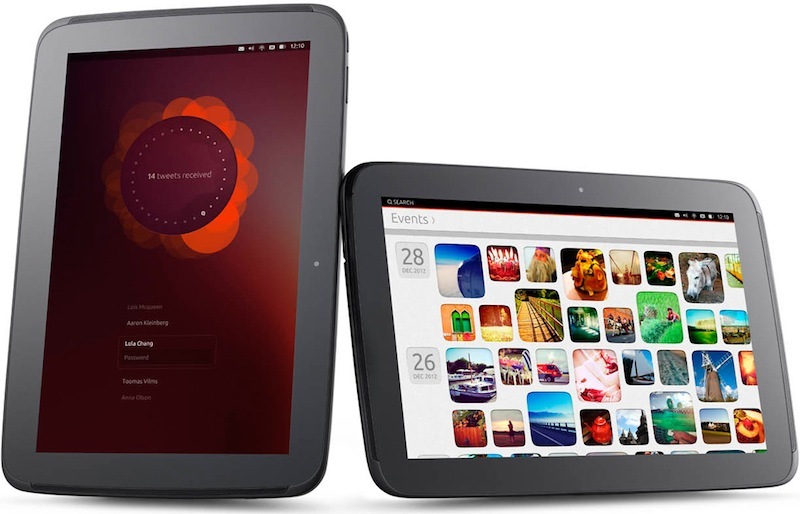 Ubuntu for tablets has definitely wowed many people. The announcement got a lot of coverage, even from sites that don't normally cover the Linuxian side of technology. Among those who were extremely excited by this news were Linux fans of course. Having said that, most of them temporarily forgot about the elephant in the room. Yep, and it's a big one you won't be able to ignore for a long while. It's the lack of quality apps for the OS. While iOS and Android both boast millions of apps, Ubuntu will have to start from scratch in this department and that too in very little time. 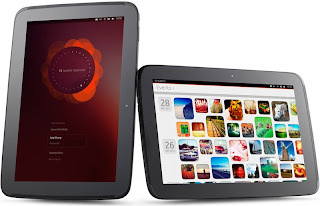 Ubuntu for tablets, as of now, doesn't have a tie-in with any major hardware vendors. Unless you see big brands like Samsung, HP, and HTC chipping in, mainstream success might elude the open-source OS. Though mobile-PC convergence is something that everyone is running after these days, it won't be wrong to say that the convergence agenda has been pushed a bit too far by many. Why not just focus on building a good OS rather than a ubiquitous one? That's the question many technological purists are posing. After all, if you take a look at Windows 8 -- one of the biggest attempt at convergence, and that too by a tech giant like Microsoft -- convergence seems to be quite on the counterintuitive side. One might not be wrong to argue that the tablet OS market is on the verge of saturation. Or maybe, it's already saturated. We have two giants like Apple and Android sitting on the top with little room for a third spot. You have Microsoft struggling for that spot but that doesn't seem to be going well. It's not a good idea to come up with conclusions at this point but the path is not an easy one for Canonical. They can't just expect to walk in and say, "Can you scoot over a bit? I need a little room." * Can it answer the biggest question - "Do I need it?" Do I need it? That's the first question an Android user would ask before buying an Ubuntu-powered tablet. If I can have Android, which has the biggest collection of apps, why should I choose Ubuntu? Moreover, I can add the same features to my Android tablet by installing a couple of apps. Swipe-based launcher. Check. Split view. Check. Notifications. Check. Canonical has to work really hard to show users that they're better than Android. It's difficult to decide at this point whether Ubuntu Tablet OS will succeed or not. After all, it's a long-term battle. It's only after three to four years we will get to know whether Shuttleworth's ambitious plans have worked or not. Till then, if you're a Linux lover, go ahead, buy that Android tablet you've been drooling on for months. What about an Android emulator (like wine) in Ubuntu? Well all aps that are available on arm debian and ubuntu should work with no problem. That for sure is not from scratch.